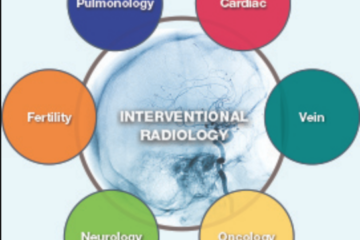 So you’re interested in exploring the wonderful world of interventional radiology. Perhaps this is your first time hearing about the specialty and are interested to learn more. Maybe you are about to start an IR clerkship and want to brush up before you begin. 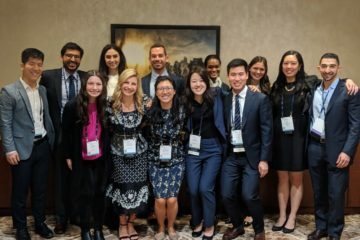 Whatever sparked your interest in IR, the Medical Student Council is here to help. Half the battle with entering any new field is simply trying to understand what people are talking about. Some things may seem so basic that you are afraid to ask for a definition or explanation. In this article, I will provide a quick review of some of the basic words, phrases, and abbreviations that are used every day in IR to get you up to speed on the terminology, and give you an easy resource to refer to in times of need. 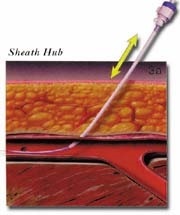 Catheter: a hollow tube that can go over wires to help guide and direct them into different blood vessels or body cavities (e.g., post-operative abscess). 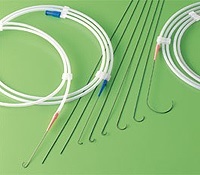 Catheters can be used to deliver contrast/fluids, collect blood samples, or drain pathologic body fluid collections (e.g., pus, bile, blood, etc.). 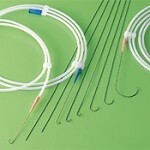 Catheters come in a variety of shapes and various sizes. Size is classified using the French gauge system (1 French unit = 1/3 mm), which is a measure of outer circumference. You’ll hear them referred to by their specific names (SIM2, Cobra, etc). Stent: a device that is placed across a narrowing or blockage in a vessel or duct. In the vascular system, narrowed areas can be corrected by first dilating with a balloon, and then placing a stent to keep the vessel open. Stents come in a variety of shapes, lengths, diameters, and materials; some are self-expanding, others are balloon expandable. They can be “bare metal” stents, without any coating or can be coated with a polymer that is capable of holding eluting drugs. 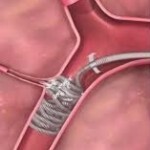 Stents can also be covered with a fabric-like material creating an impermeable conduit along its length (image: news.bostonscientific.com). Ablation: Radio frequency ablation. This procedure is an alternative to surgery in the treatment of small solitary tumors. 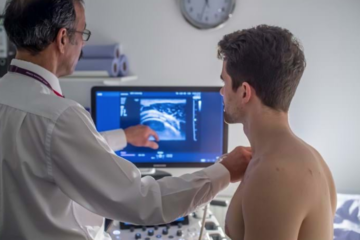 Under CT guidance, a long needle called a probe is advanced through the skin into the site of the tumor, taking caution to avoid important structures like vessels, nerves, bowel, and non-target organs. Once in place, a radio frequency transducer is attached to the end of the probe outside of the patient’s body and radio waves heat up the other end of the probe inside the tumor. 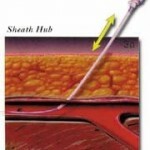 This process creates a spherical burn zone that kills the cancerous cells and spares all cells outside of the zone. Embolization: Embolization is the intentional occlusion of a vessel for a medical need. This can be done to restrict blood flow to tumors and inhibit growth such as uterine artery embolization for uterine fibroids. In the trauma setting a hemorrhaging vessel can be embolized to prevent ongoing blood loss. Non-target or collateral blood vessels can be embolized to achieve desired blood flow. A variety of materials exist to achieve embolization, including: metal coils, gelfoam, and acrylic “glue”. A similar procedure called radioembolization uses small particles coated with yttrium-90 (Y90) that emit beta radiation at the tumor bed to achieve similar tumoricidal effects. If you’re interested in learning more about all that IR offers to patients, check out our YouTube channel for lectures, case studies, and more.